There’s usually a reason to buy a new tennis bag. A bad sunscreen spill, a broken strap, or the universally dreaded forgotten banana are all good reasons, but let’s be honest: sometimes it’s just nice to have something new! It’s nice to walk on the court with a new freshly packed bag that hasn’t even touched a dirty sock or sweaty shirt yet. New tennis bags always feel so light, too. No old game balls lingering in the bottom or half drunk water bottles to weigh them down. Getting a new bag literally will take the weight off your shoulders! 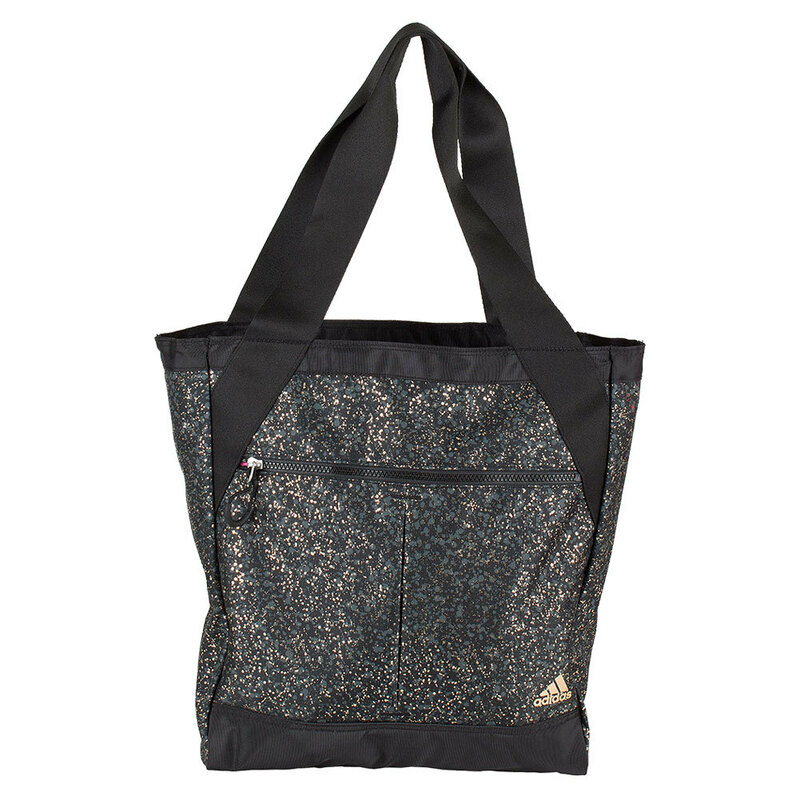 If you’re the kind of girl that hits the treadmill when your match rains out, then you should consider the Adidas Fearless Tote. 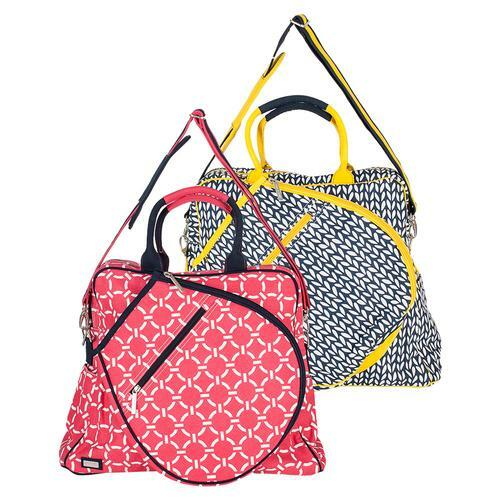 It’s available in 3 colors that could all pass for a respectable purse choice. It’s really a gym carry all, but it’s big enough to hold one racquet to show that you actually are athletic enough to play a sport that requires hand/eye coordination. It’s got a front zippered section perfect for your phone, keys, or headphones. The inside compartments are cleverly labeled for “Sweaty Stuff,” “Tablet,” and “Little Stuff.” The shoulder straps are constructed of an ample canvas, but are not adjustable. The 40 Love Courtoure Sophi backpack is made for the tennis lady that likes to stand out from the crowd with a unique bag. It’s available in over 20 colors and patterns, so you can buy a new one every season to match your team’s new uniform. It’s well constructed of heavy canvas that will be easy to clean and has the option of 1 or 2 shoulder straps. It features 2 large pockets on the front. 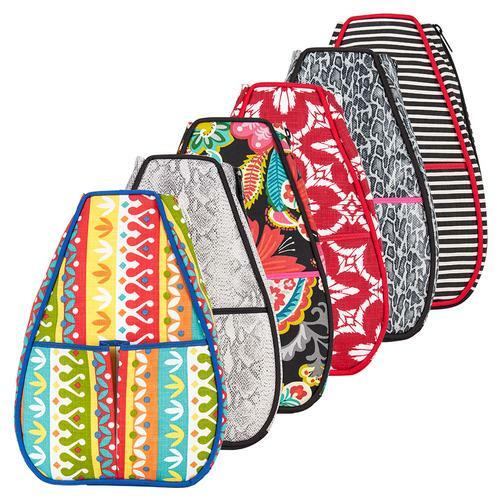 Each of these pockets is big enough for a can of balls or a water bottle. Inside the backpack, you’ll find one large inside pocket perfect for extra shirts or socks and 2 inside pockets that are large enough for ball cans. This backpack also has a handy key hook on the inside, so you can strut quickly off the court after your big win! If you feel like being the captain of the tennis team is a full time job, you might consider using the All for Color Shoulder Bag as your briefcase when you head into “work.” I love this bag because it has 2 outside pockets big enough to hold my captain’s notebook or any other roster information I need to have with me. This bag easily holds 2 racquets, but 3 racquets would not be a stretch for this spacious bag. The plastic lined inner pocket serves double duty as a divider for the large inside space and a storage compartment for sweaty clothes. Even though this bag is large, it has enough organizational elements so that I won’t lose things in the bottom abyss of the bag. If you’re looking for a high quality tennis bag with a reasonable price tag, consider investing in a Ame and Lulu Tennis Tour Bag. This bag stands on its own two feet, literally. Pedal feet on the bottom keep the bag up off the ground and help it stand up when it’s fully packed. 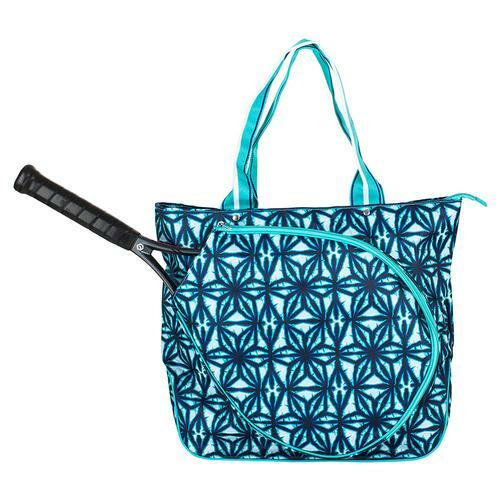 Constructed of heavy duty canvas in 3 color pattern choices, this bag holds 2 racquets easily. A small zippered pocket on the front is big enough for my keys and cell phone and the inside features a zippered pouch to help keep me organized. The ample side compartments will keep ball cans and water bottles easily accessible. See more bag and backpack selections at TennisExpress.com today!